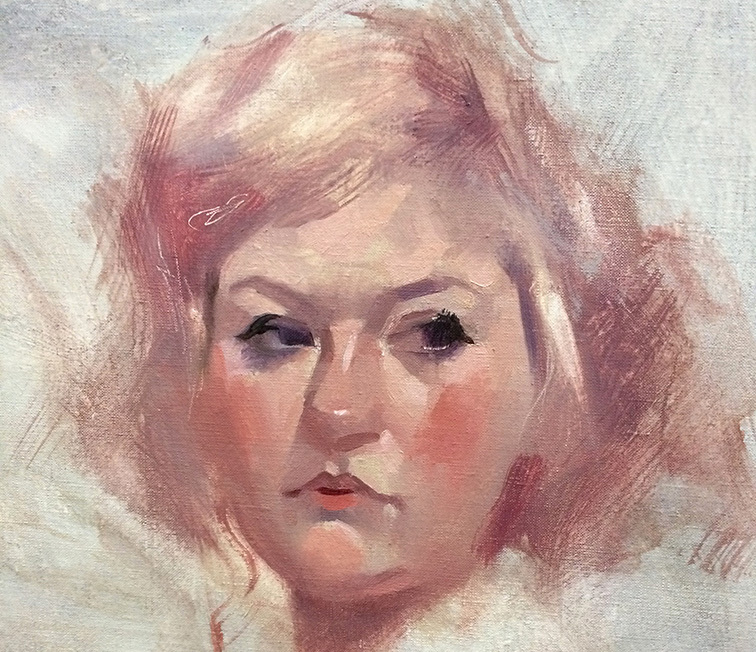 A demonstration of an Alla Prima portrait sketch in oils, painted from life at the Dulwich Art Group in around two and a half hours. I have several different ways for starting a portrait. 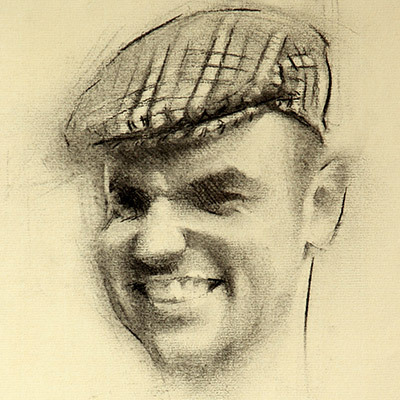 For this quick study, as the model is viewed from the front and there are few shadow shapes, I focused on blocking in the eyes and nose accurately before moving outwards towards the rest of the head. I learned this approach from watching the American artist Richard Schmid. It is an effective method for achieving lifelike results very quickly and I often work this way if I don’t have much time. If time is not an issue (a rare thing when working from life) or if I have a view of the model where the planes of the head are more prominent, such as a three quarters pose or an older person, I will use a more traditional method similar to that recommended by Harold Speed in his book Painting Techniques and Materials. I will work on the whole head, establishing the larger planes before moving on to smaller features like the eyes and mouth. For students I recommend practicing the traditional method, of working out large shapes before small, until they have learned to suppress the innate tendency we all have of seeing too much detail and understanding how the details fit in to larger forms. I will post a demonstration of this other way of working soon.